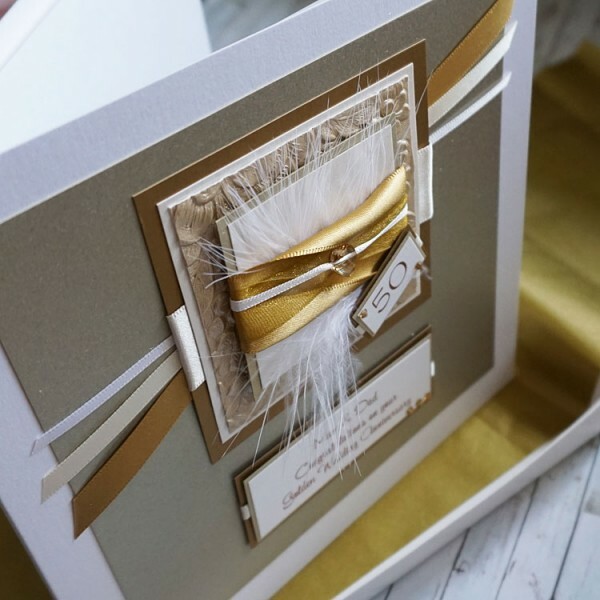 Personalised 50th Wedding Anniversary Card "Gold Sparkle"
A handmade card for mum & dad, grandparents or special friends, to celebrate a Golden or 50th Wedding Anniversary with a decadent mix of satin and organza ribbons, Swarovski crystals and feathers. 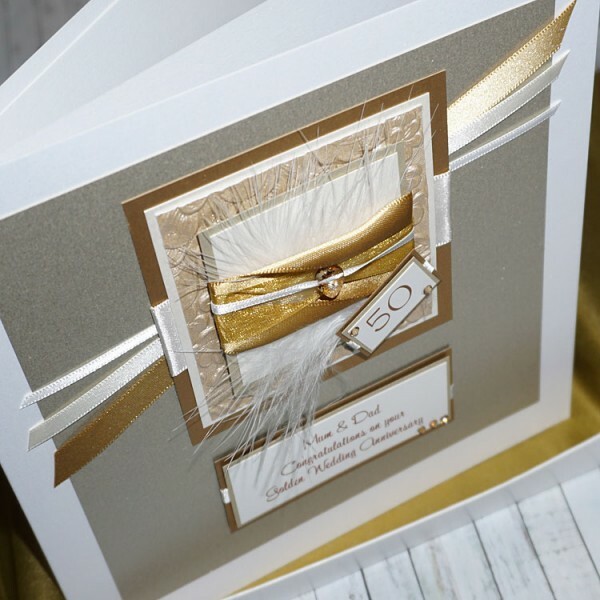 The card features a gold Swarovski crystal heart and crystal beads. The design is created on pearlescent white card, with a large gold mount underneath the main design. The card contains a blank white pearlescent insert. 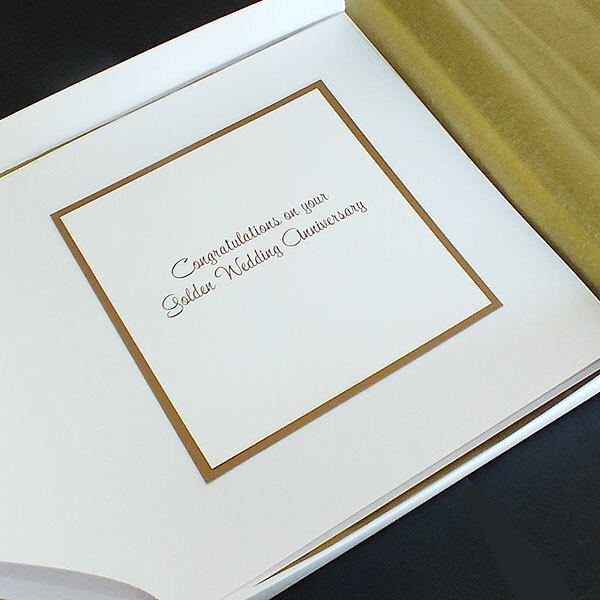 It can be supplied with a white envelope or a matt white box, lined with tissue paper and tied with a satin ribbon. The card in the photo reads 'Mum & Dad Congratulations on your Golden Wedding Anniversary'. 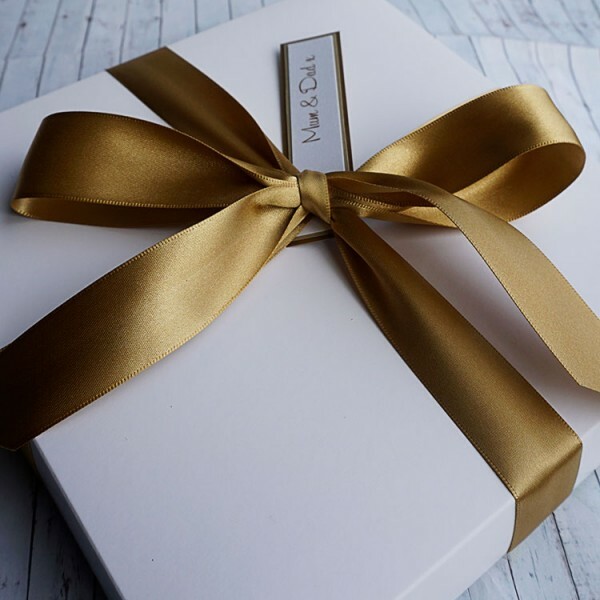 Please type your own personalised message in the box when you order. 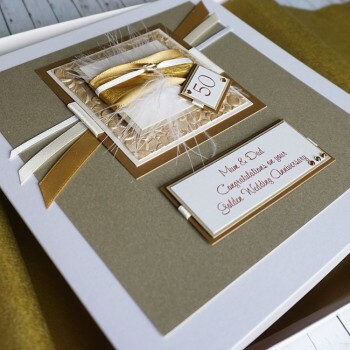 This card would also be ideal for other wedding anniversaries, engagements etc and would also make a suitable card for a Husband or Wife, Mum & Dad or Gran and Grandad to celebrate a very special 50th wedding anniversary.